Q1: Chris, you’ve released your sales figures this morning, what is the significance of the sales figures? A1: I think the take-away from this is that we are disclosing sales figures that relate to a very short period of time, primarily because the quarries were very late in opening this year, we had a very delayed thaw in Kosovo. So, these figures represent really just over 2 months of trading, it’s a full half-year number but it really only relates to what we’ve been able to do for just over a couple of months. I think if you amortise that over a 6-month period, you can see that the run rate that we’re achieving is much much greater than we have in previous years so it’s a very positive story we’re able to tell this morning. Q2: What is the impact of the factory operations on the revenues of the business? 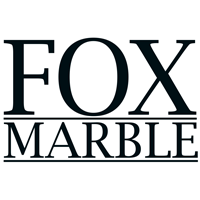 A2: So, 12 months ago, Fox Marble Holdings basically sold only marble in block form, so we sell these big 20-tonne/15-tonne blocks of marble straight from the quarry to those customers that have their own factories and their own processing facilities. We did some processing in Italy but not very much, so we were essentially almost at 100%, but close to 100% of our revenue was from block marble from our quarries. Since our factory has become fully operational with all of the equipment now working flat out, obviously the mix of revenue that we get for our business includes now slab sales and most significantly cut to size sales which is tiles and various other shaped processed marble on which we enjoy a much higher margin. Also, we can produce and provide and supply independent of any weather conditions and obviously the factory can work 24/7 12 months of the year and that’s having a very big impact on margins and on the mix of revenue that we get. As we focus more on this, obviously that’s to the benefit of the margins we enjoy at the moment. Q3: Now that the factory is fully operational, is the mix of product you sell changing? A3: It is. We were really only selling slabs that were processing in Italy this time last year and not in a great quantity compared to the block marble we were selling. Now, our mix of product includes, as I was talking about earlier, cut to size products so vanity units, tiles and a lot of different, much more highly processed that we can achieved notwithstanding that we still start from the block that comes from the quarry. So, we’re a one-stop shop, we operate all the way through from the quarries that we own through to block sales, through to slab sales and then, as I say, this cut to size market where the margins are much higher and where we can benefit from a much wider customer base. So, our mix is changing on a monthly basis I would say at the moment. Q4: Also mentioned in the RNS was the Chinese sale, what is the significance of the sale and what will this mean for the margins of the business? A4: We’re very pleased about this sale, we widely reported the fact that a couple of years ago, we entered into a significant relationship with a very large Chinese customer which sadly didn’t develop in the way we thought it would. We sold them some blocks to sample, they came to the quarries, they were very enthusiastic about our material and then we never heard anymore from them, we never really understood quite what had gone wrong or what had happened or why they didn’t come back, could’ve been to do with this, could’ve been to do with them, we never really got an answer from them. So, the fact that we now have a customer from China and they’re a significant customer, they’re a significant marble company in Xiamen which is one of the centres of the marble industry in China. They’ve come to the quarry, they’ve inspected our marble and they selected 300 tonnes of marble which they bought on the spot, paid us for it and took it away. They’ve since been back to the quarry, taken some more material and they’re now intending to enter into a long-term off-take agreement with us where they take significant quantities of this material, it’s Illirico Selene, it’s the silver-grey, which is obviously our most in-demand marble which they want to take away on a monthly basis. So, this is hugely significant for us, it means we are finally penetrating the Chinese market in volume, obviously small compared to the total market, and we are benefitting from very good margins for the price we’re achieving for our block marble into China. Obviously, it’s huge market and we’re optimistic that very good things will come from that. Q5: Are you seeing customers from different regions as a result and what does this mean for Fox Marble? A5: I think generally speaking, we are seeing multiple customers from multiple jurisdictions repeat ordering. We’ve got customers coming to us and coming to visit the quarries from China, from India, from Turkey, and indeed nearer to home, we’re now seeing customers coming to us from Italy as well as Northern Europe. As our material penetrates markets and gets installed and gets fabricated, we build our reputation on the back of that and we’re starting to see more press articles about us and we’re fabricating more in our own factory. What it means for us is we are able now to say, with some justification, we really are a more globalised business, we’re not dependent on one or two markets and we’ve got customers in lots of different areas. So, if there is a downturn, and we’re seeing a little bit of a downturn in the property market for example in the South of England, within the M25 area, it’s definitely going off the boil a little bit for whatever reason, but we’re able to compensate for that by the fact we have other markets in areas that are perhaps a little more dynamic, particularly for us in the stone industry. So, for us, I think that means we’ve got a much more stable revenue stream coming from lots of different parts of the world which is obviously very encouraging again for us. Q6: Is there anything else you’d wish to add for our listeners today? A6: I think really just to reiterate the fact that our first half numbers really relate to a couple of months’ worth of operations. Obviously, for the second half of this year, we’ve got a much longer period over the summer months and hopefully we’ll be able to continue operations into December as we have done in some of the previous year we’ve been operating our quarries. Plus, the fact that now that our factory is fully operational and not weather dependant at all, we’ll be working all the way through the winter in our cut to size market for our customers there. Again, that adds additional stability for the business and gives us a broader range of revenue that we can start to see really coming through to the top line.